German historian and archaeologist, born on the 30th of November 1817 at Garding, in Schleswig. After being educated at the University of Kiel he devoted himself to the study of Roman law and antiquities. In 1843 a grant from the Danish government enabled him to undertake a journey to Italy, which was to be decisive for his future career. There he began the study of Roman inscriptions, in association with other Italian and German scholars, especially Borghesi, de Rossi and Henzen. His first work was directed to the restoration of the old Italian dialects, and the French government, which at one time proposed to undertake the task of compiling a complete collection of all extant Roman inscriptions, asked for his cooperation. When they gave up the project it was taken up by the Berlin Academy, which had recently completed the collection of Greek inscriptions edited by Boeckh. They had already made a grant to Mommsen, and in 1844 Savigny proposed that he should be appointed to carry out the great work. Many years, however, passed before the plan was finally approved. Meanwhile Mommsen continued his work in Italy: he drew up a full memorandum explaining the principles on which a Corpus inscriptionum should be compiled, and on which alone he could undertake the editorship. As a specimen he collected the inscriptions of Samnium, and in 1852 published those of the kingdom of Naples. These works caused him to be recognized as the first authority in this field of learning. In 1847, however, he was obliged to return to Germany: he first went to Schleswig, where during the Revolution he edited a paper in which he supported the claims of the Elbe Duchies; at the end of 1848 he was appointed professor of civil law at Leipzig. His work there was interrupted by his political opinions. During 1848, when the extreme party was in the ascendant, Mommsen supported the monarchy against the Republicans. With characteristic courage and independence, next year, when the Revolution had spent its force and Beust executed his coup d'état, he protested, with many of his colleagues, against this act. In consequence he was summoned before a disciplinary court, and, together with Haupt and Jahn, dismissed from his professorship. Mommsen found an asylum in Switzerland, and became professor at Zürich: he repaid the hospitality of the Republic by writing exhaustive monographs on Roman Switzerland. His spare time was occupied with the Roman History, the three volumes of which appeared between 1854 and 1856. His name at once became known throughout Europe. In this work, with a true insight into the relative importance of things, he passed over with a few strong broad touches the antiquarian discussions on the origins of the city, on which previous historians had labored so long; but in place of this he painted with astonishing vigor the great political struggle that accompanied the fall of the republic. It was, above all, his new reading of old characters which demanded attention, if not always approval: Cicero, the favorite of men of letters, was for him "a journalist in the worst sense of the word"; Pompey, the hero of Plutarch and the Moralists, was brushed aside as a mere drill-sergeant; and the book culminated in the picture of Julius Caesar, who established absolute rule in the name of democracy, the complete and perfect man. The three volumes ended with the dictatorship of Caesar. The book has never been continued, for the volume on the Roman Provinces under the Empire, which appeared in 1884, is in reality a separate work. Mommsen was henceforward fully occupied with work of a more technical nature. In 1854 the definite offer was made to him by the Academy that he should be chief editor of a Corpus inscriptionum, with full control, and in order that he might carry on the work he was appointed in 1858 to a professorship at Berlin. The first volume appeared in 1861; five of the succeeding volumes he edited himself, and the whole was executed under his immediate supervision and with the cooperation of scholars whom he had himself trained. Enormous as was the labor, this task occupied only a small part of his extraordinary intellectual energy. He found time to write two larger works, the History of the Roman Coinage and the Römisches Staatsrecht, a profound analysis of Roman constitutional law, and Römisches Strafrecht, on Roman criminal jurisdiction. His Roman Provinces already mentioned gives a singularly interesting picture of certain aspects of social life under the empire. His smaller papers amount to many hundreds in number, and there is no department of Roman life and learning, from the earliest records of the Roman law to the time of Jornandes, which he has not illuminated. As secretary to the Berlin Academy for over twenty years he took a leading part in their deliberations, and was their spokesman on great occasions. His interest in political problems of the present was as keen as in those of the past. He was one of the founders of the Preussische Jahrbücher, the most influential of German political periodicals. For many years he was a member of the Prussian Parliament. His political opinions were strong but ill-regulated. Intensely nationalist, he acquiesced in the annexation of his native land to Prussia, and in a public letter to the Italian nation in 1870 defended the German cause before the nation which had become to him a second fatherland; but he was of too independent a character ever to be quite at ease under Prussian government. Loving liberty, he hated its consequences; a democrat, he had and always expressed a profound contempt for the mob. Like many idealists, he was a severe critic of the faults of his own and other countries, and he added something to the increasing Chauvinism in Germany. It was, however, above all, German scholarship which remained his first interest. There is probably no other instance in the history of scholarship in which one man has established so complete an ascendancy in a great department of learning. Equally great as antiquary, jurist, political and social historian, he lived to see the time when among students of Roman history he had pupils, followers, critics, but no rivals. He combined the power of patient and minute investigation with a singular faculty for bold generalization and the capacity for tracing out the effects of thoughts and ideas on political and social life. Partly, perhaps, owing to a philosophical and legal training, he had not the gift of clear and simple narrative, and he is more successful in discussing the connection between events than in describing the events themselves. Though his History ends with the fall of the republic, his most enduring work has been that on the empire; and if he has not written the history of the empire, he has made it possible for others to do so. Mommsen died at Charlottenburg on the 1st of November 1903. His brothers, Carl Johann Tycho, a great authority on Pindar and Shakespeare, and August, who wrote chiefly on ancient chronology and Greek festivals, were also prominent among German scholars in their day. The History of Rome (including the volumes of the provinces) has been translated into English by W. P. Dickson; there is a French edition of his work on Roman Coinage. 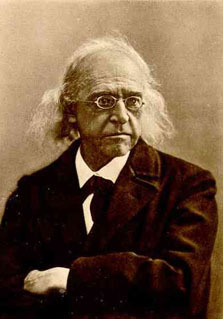 Many of his pamphlets and articles have been collected under the title Römische Forschungen. Of his other works, the more important are the Roman Chronology to the Time of Caesar (1858), a work written in conjunction with his brother August; his editions of the Monumentum Ancyranum and of the Digest in the Corpus juris civilis, and of the Chronica of Cassiodorus in Monumenta Germaniae historica, the Auctores antiquissimi section of which was under his supervision. A great part of his work is to be found in the German learned publications such as Hermes, Rheinisches Museum, etc. His Reden und Aufsätze and Gesammelte Schriften were published after his death. A full list of his works is given by Zangemeister in Mommsen als Schriftsteller (1887; continued by Jacobs, 1905).